With the popularization of the smartphone by Apple in 2007, apps have been the “new normal” for consumer-driven businesses for more than ten years. With 53% of all smartphone owners using the technology to bank via mobile, managing financial accounts via app is becoming standard. If your financial institution hasn’t fully invested in mobile technology yet, here are three compelling reasons to reconsider. 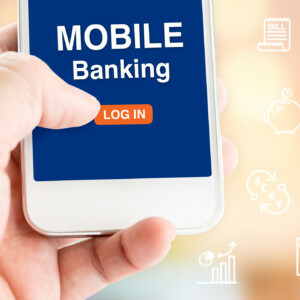 Mobile banking is considered a “sticky” feature because of the increased value it adds to account holder’s lives; saving time, money and bandwidth. Account holders can save time by remotely depositing checks and checking account balances; save money on gas by not driving to the bank, save on ATM fees by looking up the nearest location via app, and users can free up mental bandwidth by setting alerts when balances become low or when a bill is due. 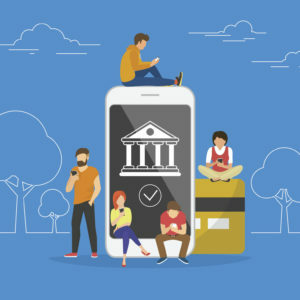 Since mobile banking is a “triple crown” (time, money, bandwidth) win for account holders, they’ll be pleased by the extreme benefit they derive from the feature and therefore become more brand loyal and likely to keep their dollars with the institution. Nearly 70% of millennials utilize mobile banking. Not only are these account holders hyper-digital, they’re also less brand loyal than previous generations. 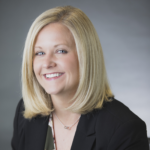 According to a FICO survey, Millennials are 2-3 times more likely to close all accounts with their primary financial institution than people in other age groups, and 16 percent of 25-34 year-olds are considering opening an everyday banking product with a digital-only bank in the next year. They know what they want and they’re willing to switch brands in order to get it, which is why if they desire mobile – it’s in your institutions best interests to give it to them! Most common reasons millennials switch institutions? Inconvenient branch locations and too few ATMs. Recent findings from FindABetterBank indicate that 60% of consumers under age 34 consider mobile deposit to be a “must have” or “nice to have” feature. In fact, account holders who use mobile deposit are less likely to change banking relationships. Building out a best-in-class mobile app combats reasons this important demographic may choose to switch banks. Why this generational emphasis? 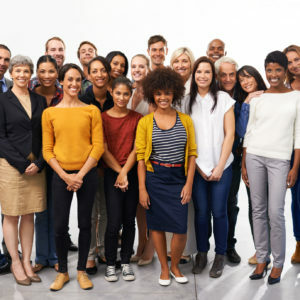 With the oldest set of millennials (born 1980-2000) approaching forty, and the generation as a whole set to inherit nearly $1 trillion in wealth from their Boomer parents in the coming decades, the increasing need for retirement and estate planning means they’re a prime target for future financial services – and that they shouldn’t be ignored. Millennials aren’t the only demographic that desire mobile banking capabilities, users across all age groups are taking their financial lives “online,” with 55% of all adults utilizing mobile banking. In fact, institutions will find many benefits in making a mobile app available to account holders. Not only do financial institutions make account holder’s lives easier and more convenient, apps provide institutions with even greater access into the way customer’s use data and how they choose to interact with the brand. Institutions can then leverage this data to both improve customer service and create better sales touch points for account holders. Increasing mobile deposits not only provides a way for account holders to save time and energy, but it’s also proven to positively correlate with an increase in customer satisfaction. 81% of mobile deposit users say they are “extremely” or “very” satisfied with their bank, compared to 72% for non-mobile deposit users. There’s cost savings for institutions to boot; the cost of processing a transaction via mobile phone can be as much as 10 times lower than via an ATM and as much as 50 times lower than via a branch. These benefits alone make it very important for institutions to consider new ways to market and grow their mobile deposits. If you who want to get started right away, consider Harland Clarke’s turnkey and custom direct mail marketing solutions. Using marketing best practices for mobile activation, Harland Clarke can help financial institutions promote the real value of mobile deposit and grow their base of mobile deposit users. Mobile banking is all the rage, but mobile deposit isn’t keeping up. What gives? Andrew Huber addresses account holder concerns — as well as tips for financial institutions to overcome them.